Developed by Pencil Test studios. Published by Versus Evil. Available on PC (reviewed), Mac, Linux. PS4 and Wii U release TBD. Copy provided by the publisher. We are seeing something of a renaissance for the adventure game. The genre, which was on life support not too many years ago, has seen a fresh resurgence with the success of "cinematic" titles. With it, a number of old franchises have also gotten resurrected. Armikrog is one of those old franchises... sort of. 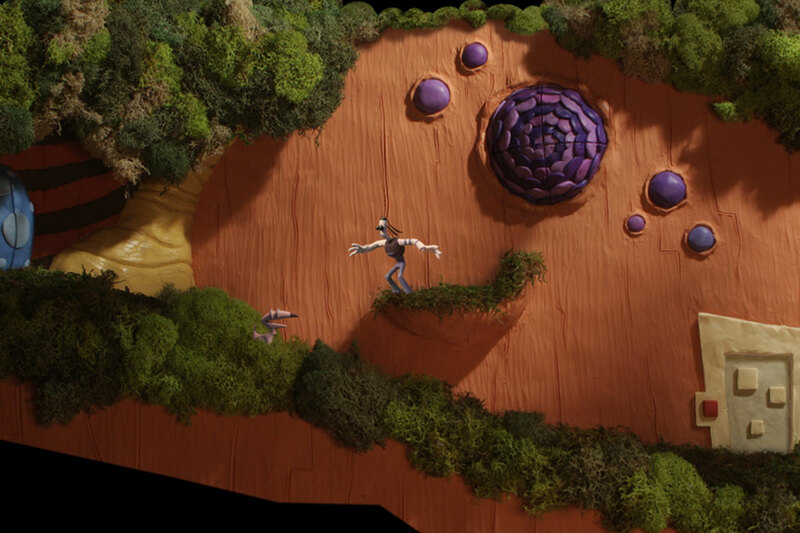 It's made by the same team that did The Neverhood, the cult classic point and click adventure game done entirely in claymation. 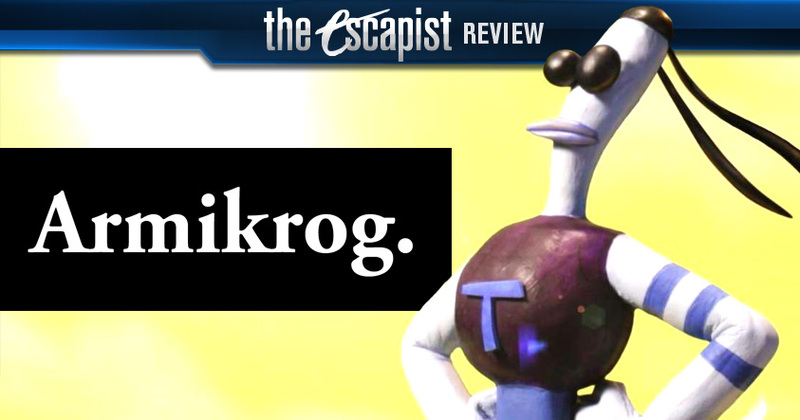 While Armikrog is not the same game, nor is it in the same universe, it inherits just about everything from The Neverhood, from its gameplay to its clay aesthetic to its quirky sense of humor. Unfortunately, it also inherits some flaws from The Neverhood, and older adventure games in general. Armikrog is the furthest thing from cinematic, and might be jarring to anyone who isn't used to the unforgiving adventure games of the 90s. 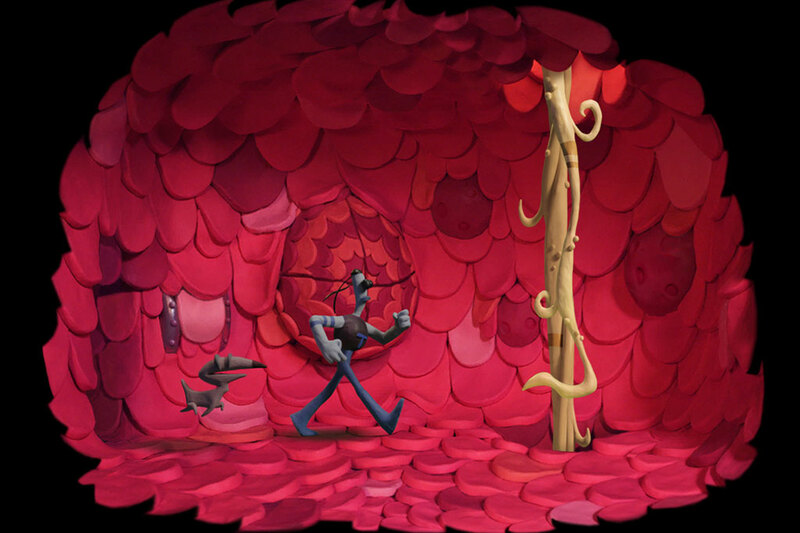 The story of Armikrog is deliberately bizarre. You take control of Tommynaut, a claymation astronaut looking to save his world by finding stores of exotic P-tonium. Unfortunately, P-tonium only exists on dangerous far off planets, and his two brothers have already attempted to secure the precious resource but never returned. So now, Tommynaut brings his blind, sometimes flying, talking bird/dog/lizard Beak Beak on a last ditch effort to save his world. Unfortunately, a comedic mishap ends up locking Tommynaut and Beak Beak inside the Armikrog, a massive fortress on an unknown world, and now they have to escape. In an age of adventure games driven by epic cinematic plots, the story of Armikrog breaks the mold by mostly fading into the background. It doesn't take itself seriously at all and exists as a vehicle to make jokes and present puzzles to the player. You never particularly care about Tommynaut and his adventures. Heck, his entire backstory is told in a tongue-in-cheek song during the game's opening. It feels a lot like Earthworm Jim, in that is only feeds you enough story to get you to the next crazy thing you have to do, which is appropriate - some of the Earthworm Jim team also worked on Armikrog. That's not to say the story isn't enjoyable. 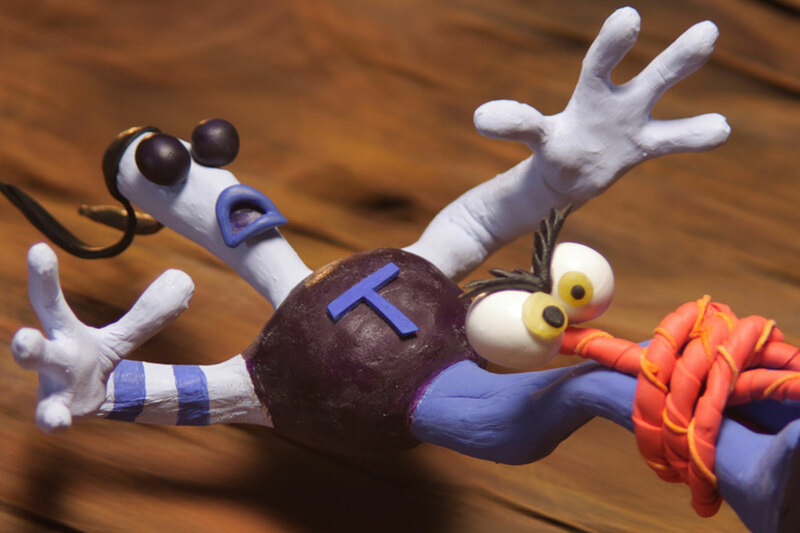 On the contrary, Armikrog is dripping with personality. Tommynaut is voiced by Michael J. Nelson, who you may remember from Mystery Science Theater 3000, and Beak Beak is voiced by Rob Paulsen of Animaniacs fame. They, and the rest of the cast, give stupendous performances, which help to get you invested in the adventure. The best way I can describe it is that you care about the main characters, but you don't particularly care about why they're here, what they're doing, or where they're going. You just want to see them get up to more goofy antics. 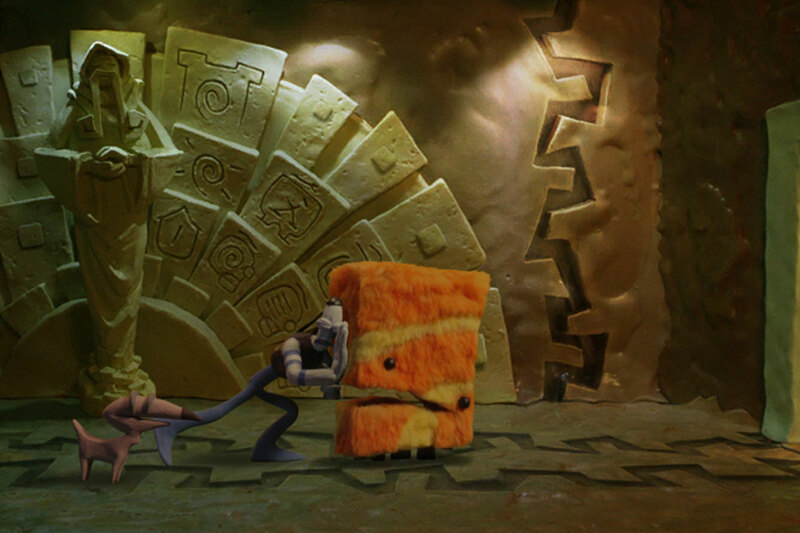 When I say that Armikrog is a point and click adventure game, I mean this in the most pure sense. The only thing you do is point and click. Point at a place to move. Click to move there. Point at a thing you want to pick up. Click to pick it up. Point at a thing you want to use another thing on. Click to... well you get the idea. 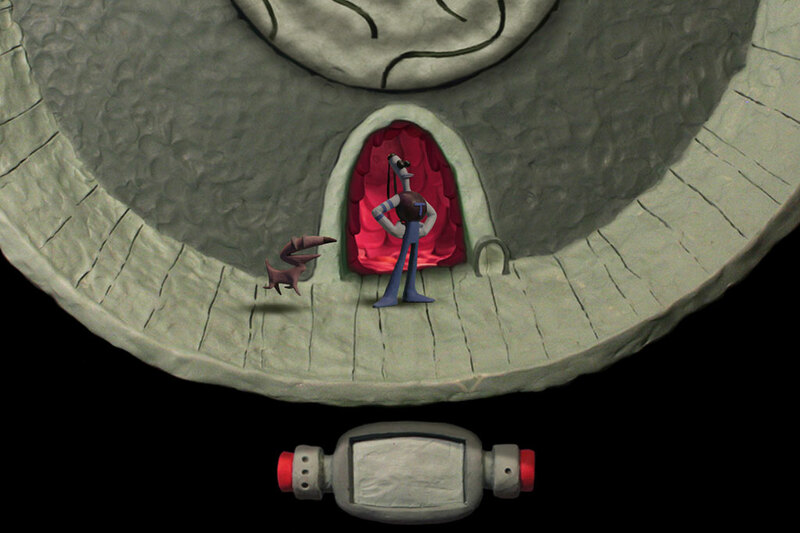 Unfortunately, the mechanics of Armikrog do not stray from the point and click path, even in aesthetics. Interactive objects aren't highlighted and the pointer doesn't change shape when you mouse over them. Heck, there's not even a way to access your inventory, or at least none that I easily found. You just have to remember that you have things stored as you click, click, click. This causes Armikrog to quickly become a game of brute force problem solving. Don't know where to go? Just click around the screen like crazy until something happens! This happened to me in one of the first three rooms of the game and it was very discouraging. Nearly every other room in the game became a brute force exercise from that point on, with the exception of a few clever puzzles. I wouldn't say that I didn't enjoy Armkirog. The writing is great and the clay environment design is exquisite. It's just that it feels dated. We've made many advancements in U.I. and playability in the point and click genre since the 1990s and Armikrog doesn't seem to adopt any of them. As a result, the game can feel like a confusing slog, which is a real shame - because I frequently found myself wanting to see what crazy antics would befall Tommynaut and Beak Beak next. 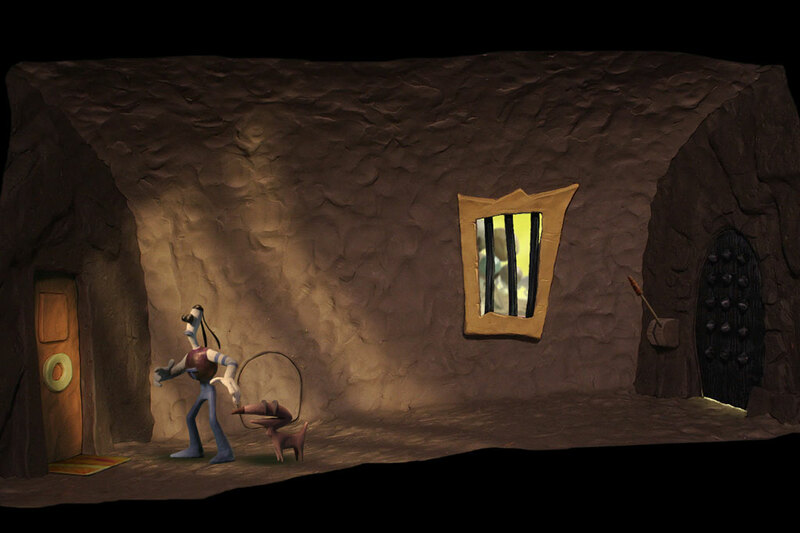 Bottom Line: Armikrog is a fun and quirky point-and-click adventure game with unfortunately dated mechanics. Recommendation: Fans of Earthworm Jim, The Neverhood, or 90s point and click adventure games in general will love Armikrog.